The ASC is located on the first floor of Phillips Library. The Academic Support Center (ASC) offers students a variety of instructional approaches to foster their academic growth and help them become successful, lifelong learners. In addition to scheduled appointments for undergraduate math classes, a drop-in math lab is available four days a week. 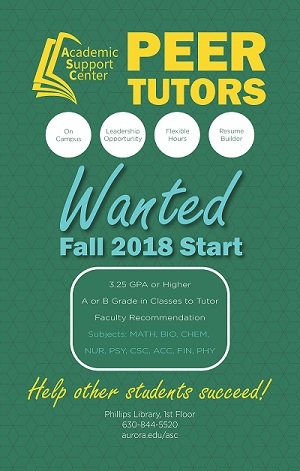 This service is available for students who want the reassurance of instructional support while completing homework or preparing for exams without making an appointment.